I grew up in a Deaf family where I spoke sign language and participated in Deaf culture. Yet I did not know much about Deafness or disability until 1990 when I became involved with CODA, the organization of children of Deaf adults. 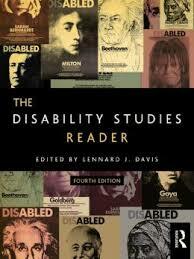 Then my interests shifted from the study of the novel to disability studies. 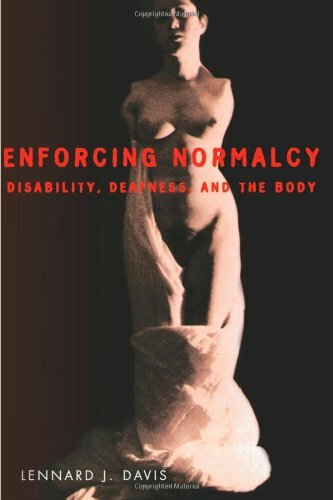 I became intrigued by the idea of normalcy and how it had evolved in our culture, and in 1997 I published Enforcing Normalcy: Disablity, Deafness, and the Body. I joined the Department of Disability and Human Development at the University of Illinois in Chicago in 2000. My other disability studies books include “Shall I Say a Kiss?”: Courtship Letters of a Deaf Couple, 1936-1938, Bending Over Backwards: Essays on Disability and the Body , Obsession: A History, The End of Normal: Identity in a Biocultural Era and the Disability Studies Reader. In 1997, the University of Illinois at Chicago created the first Ph.D. in the United States dedicated to the field of disability studies and is one of only a few such programs in the world. It has been featured in USA Today, the Chicago Tribune, the Journal of the American Medical Association, and on NBC Nightly News. The program aims to produce disability scholars prepared to take prominent roles in advancing and integrating the scientific and cultural study of disability. Please read more here. Gallaudet University. The drafting of the ADA should be studied the way that the drafting of the Declaration of Independence is studied. Students should be able to read the work of Nancy Mairs or Andre Dubus, to know about the disabilities of artists and writers like James Joyce, Harriet Martineau, and William DeKooning, as well as the more obvious Beethoven or Ray Charles. In our own time, we always wonder how it was that authors like Charles Dickens, Daniel Defoe, or even Sigmund Freud could get issues like race or gender so wrong. Will people look back to the beginning of the 21st century and wonder how people in the past were so oblivious to the issues that now seem obvious to us? Will those people be astounded at the routine use of the pejorative sense of commonly used phrases like “turn a deaf ear” or “a blind eye” or references to “lame” notions or “crippled” economies? Of course, people in the past had no problem speaking of “jewing” someone down or using the “N-word” routinely to identify an African-American, so perhaps these usages are just lingua franca for us. Disability studies matters because it points out the obvious, the common, the things no one notices because most of those “no ones” see themselves a living in the mirage of being normal.